Providing you the best range of ac/dc/servo/ main distribution panels with effective & timely delivery. Banking on the ultra-modern infrastructure, we provide clients with the best quality of AC/DC/Servo/ Main Distribution Panels. Easy installation, high functionality, compact design and enhanced functional life, make the main distribution panels highly demanded. 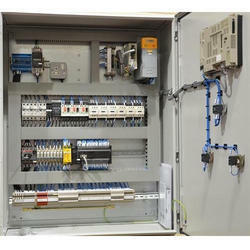 In addition to this, the main distribution panels can be customized at our end. Looking for Main Distribution Panels ?